My immune system has weakened over the past week. That means I have the flu, and that means I have spent the majority of my day in bed finishing up this photo book and watching Avatar: The Last Airbender on Netflix (but mostly watching Avatar). 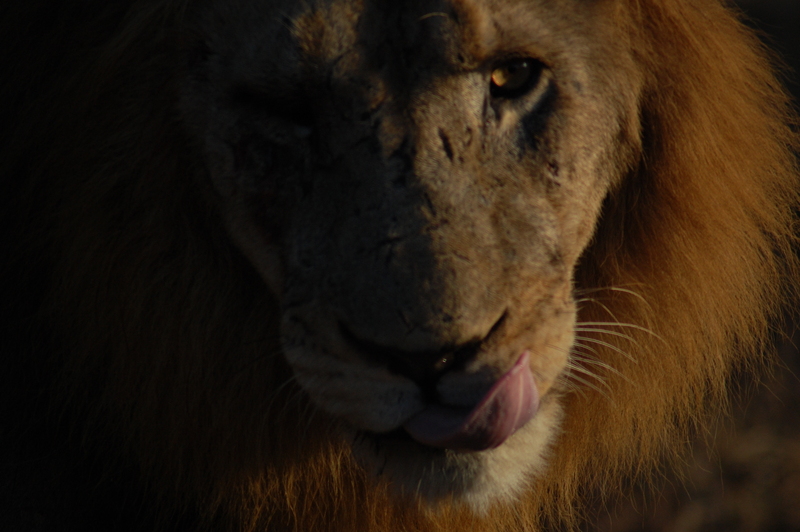 I have finished arranging the book, though, so that means I can return to posting, and that means I can finally sum up my days on safari – and that means you get to see lion domestic violence. 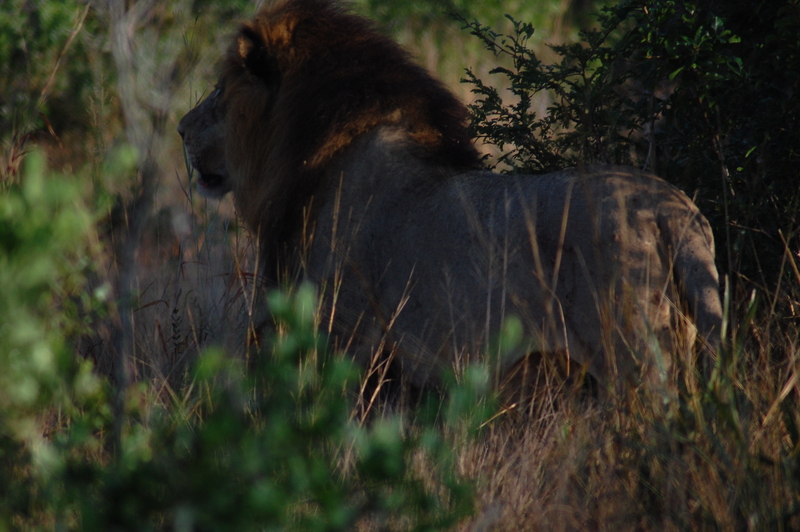 Here is the lowdown: The pride we saw the night before has two adult males in it, and they’re brothers. The older brother is in charge of the pride. 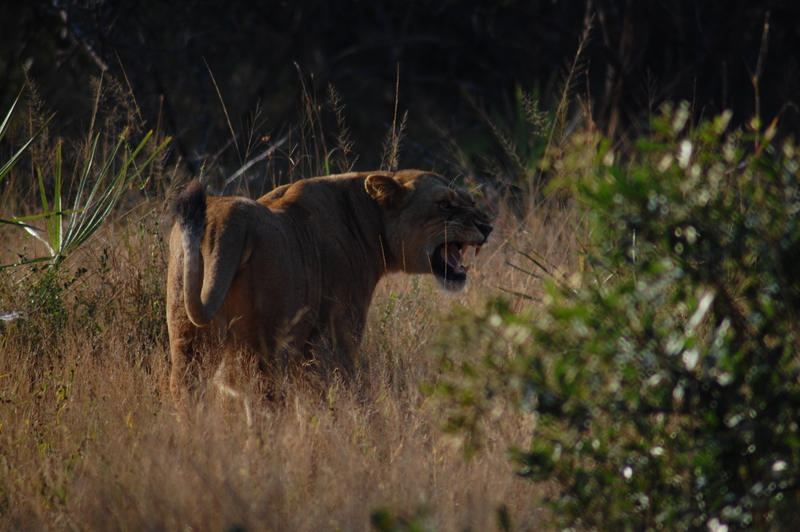 Under lion hierarchy, any additional adult male is ranked under not just the leader, but also the lionesses and the cubs. You know how Scar is an outsider in The Lion King? It’s kind of like that. On this morning, however, the younger brother decided that he wanted to be in charge. 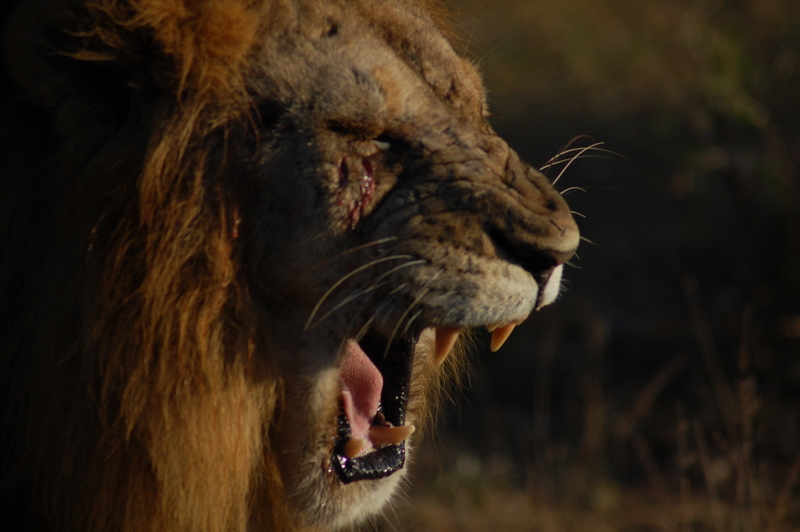 He challenged his brother and won, making him the new leader of the pride. All the lionesses and cubs were supposed so follow him now. Except that didn’t necessarily happen. 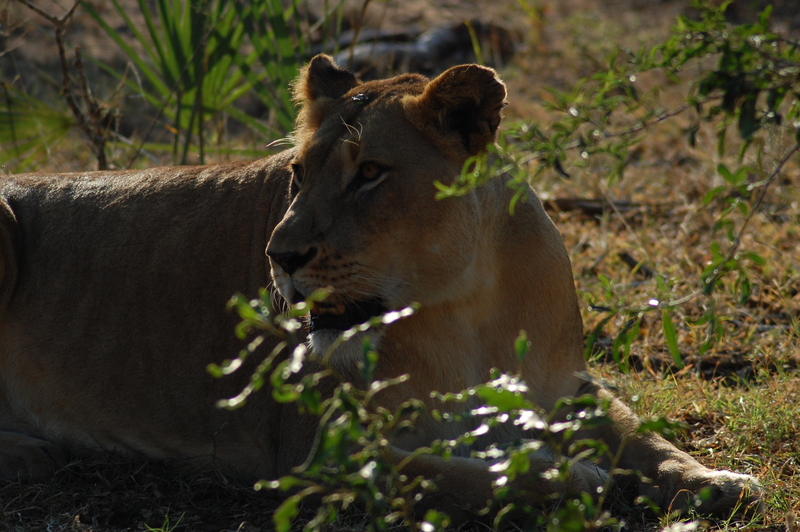 One of the lionesses went back to the old leader, and they had it out. The cubs kept sneaking up and trying to watch the fight. Then the old leader would roar at them and scare them away. I thought they were adorable. They’re just like humans! 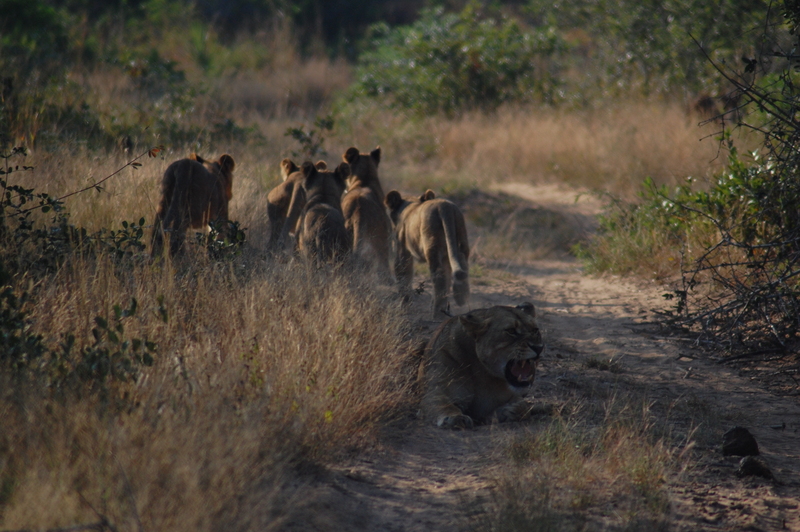 Then we drove away because we were afraid to keep following the lions. A girl in our Jeep was so afraid she was in tears. I don’t blame her, though. 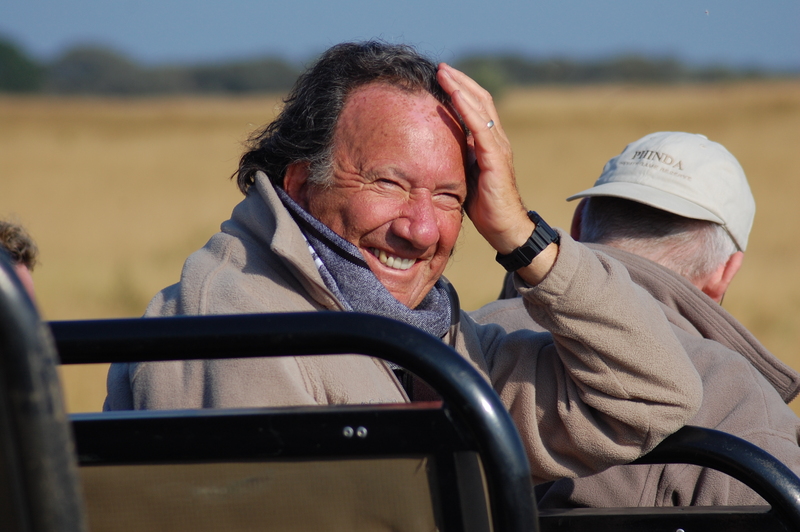 If that happened while I was on my very first day on safari ever, I would freak out too. 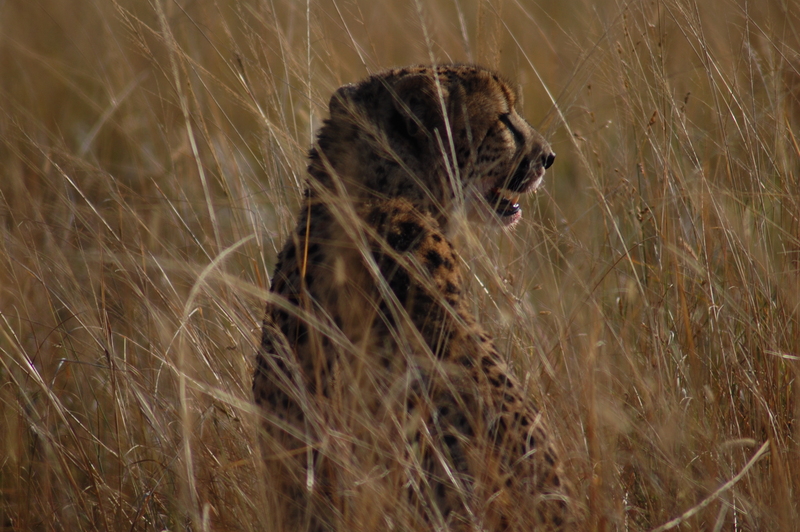 The game driver got a transmission saying that two male cheetahs we saw earlier that morning had made a kill, so we headed in that direction. 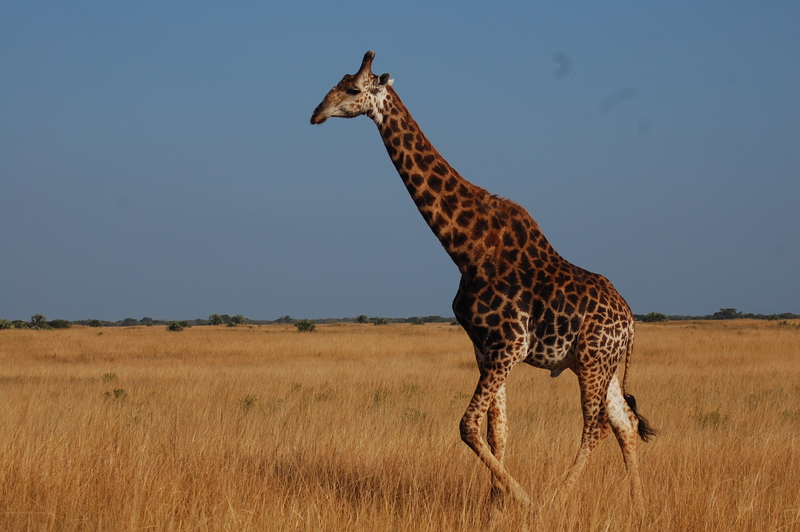 On the way, I finally got to take a decent picture of a giraffe. And we saw our new friend Hal. I just think cheetahs are really great animals to photograph. 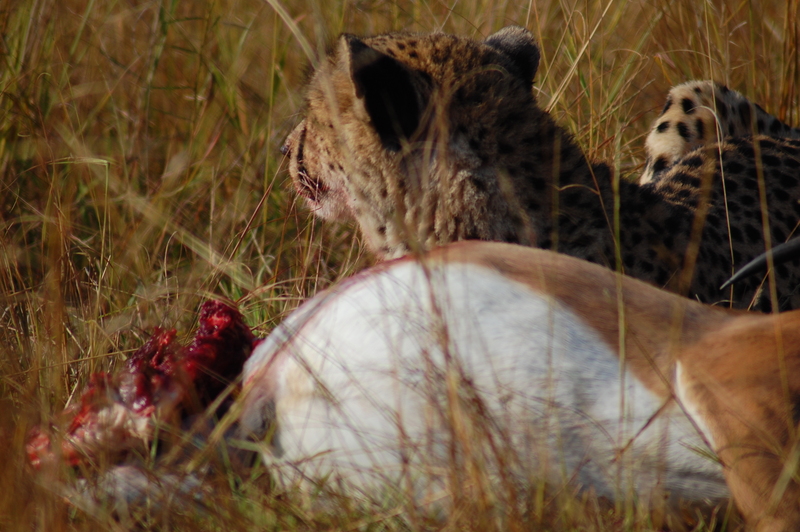 It’s like the cheetahs at Phinda knew exactly what I wanted. The next time I saw a cheetah, it would be in captivity. 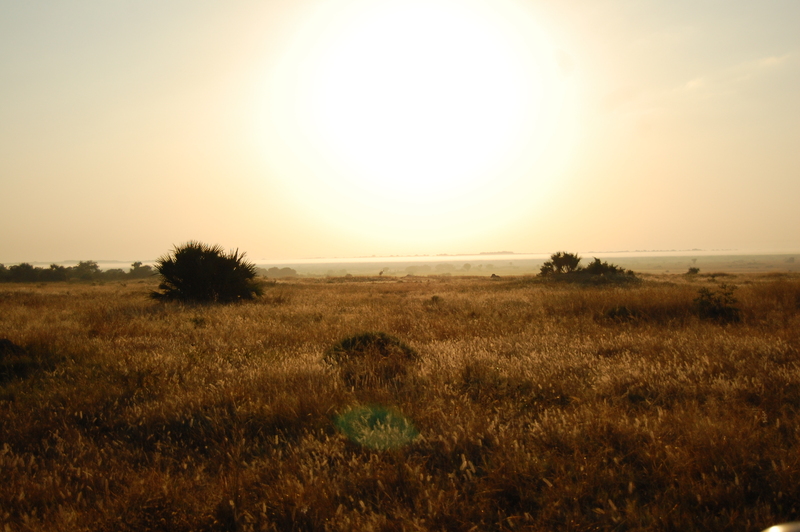 Well, that concludes all of my safari posts, and that means I am about halfway through my trip. I’m dead certain that I’ll be stuck in bed all day tomorrow too. I’m looking forward to sharing the rest of my photos and experiences from the trip. Goodnight! I’m going to watch some more cartoons now.